Jeroen is co-owner of SafariBookings.com. His desire to feel connected powers his love of travel. He has traveled all over the world with his wife and two children. SafariBookings.com has been sifting through the many thousands of recent safari reviews on our website. 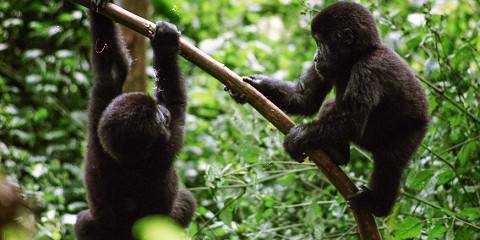 We have analyzed them to find the popular vote for the continent’s best safari country. Can you guess which country won? A magical country that combines awe-inspiring deserts with an impossibly wet delta system came first, claiming this year’s award for best safari country. Congratulations Botswana! In all, more than 3,000 reviews were scrutinized in this wide-ranging analysis. Contributions included safari-goers from around the globe. It also included the reviews from 22 guidebook authors – working for Lonely Planet, Rough Guides, Frommer’s, Bradt and Footprint – who make-up the SafariBookings expert panel. Botswana – a study in contrasting landscapes, from the impossibly beautiful Kalahari Desert with its big skies to the watery wonderland of the famous Okavango Delta – on average had the highest scores, though it beat Tanzania only by a slim margin. Interestingly, when the results were broken down, members of the expert panel rated Botswana the highest, while safari-goers had a preference for Zimbabwe. Back in 2013 SafariBookings conducted its first-ever review to determine the best country for safaris in Africa. Tanzania won that contest clearly. We conducted another analysis in 2017, and one thing that hadn’t changed was Tanzania’s popularity, again voted the best safari country in Africa. But this year was different. Our analysis determined that Botswana, although neck-to-neck with Tanzania for the continent’s best, was the finest country in Africa for going on safari. Given the exceptional wildlife-viewing opportunities in Botswana, a country that specializes in an exclusive safari experience, and luxury in the bush, this is understandable. The wildlife-rich Okavango Delta is a draw for many and boasts Africa’s highest elephant population, while hearing the roar of a black-maned Kalahari lion will stay with you forever. Botswana, which supports an astonishing 550 recorded bird species, was also rated as the best country overall for bird-watching. Anthony Ham GB - Author for travel magazines and Lonely Planet guides, incl. Botswana. Kim Wildman AU - Author of 15 guidebooks, incl. Bradt's Tanzania guides. Want to do a safari in Botswana? You can’t keep a great safari country down! Our analysis also determined that Tanzania, while just missing out on its third mantle as Africa’s best safari country overall, was the best in Africa for spotting wildlife. 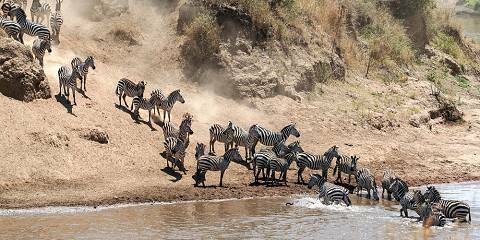 Given the exceptional wildlife-viewing opportunities in parks such as the superlative Serengeti and the wildlife-rich Ngorongoro Conservation Area, including the stunning annual wildebeest migration, this was unsurprising. On top of this, Tanzania shone through as the overall favorite for its scenic value. And what scenery this East African jewel has! Ngorongoro Crater is a stunning sight that will leave you breathless on a sunny day as you stare across to the sheer crater walls. And throughout the country, iconic rolling savannah landscapes stretch as far as the eye can see abound – this is Africa from your childhood dreams. Mary Fitzpatrick US - Author of 4 Lonely Planet guidebooks, incl. Tanzania. Philip Briggs ZA - Author of 7 Bradt guidebooks to Africa, incl. Tanzania. Want to do a safari in Tanzania? Something that caught our attention was the popularity of Zimbabwe. It came first overall for safari-goers and also took out the scenic value category for the same group of travelers. It may just be that tourism is gaining momentum in Zimbabwe, albeit slowly, which would be wonderful news for southern Africa’s regular safari circuit. Blessed with a rare beauty, wildlife diversity and a dizzying array of landscapes for a country its size, Zimbabwe has been sorely missed by its legions of safari fans. Hwange National Park: The country’s flagship Big Five park is known for its extensive elephant herds. 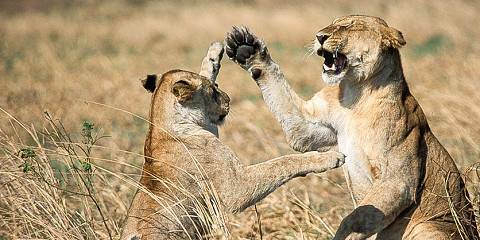 In fact, Hwange has more variety in mammals than any other national park – in the world that is! Mana Pools National Park: This well-regarded World Heritage site is an unspoiled wilderness that is tailor-made for canoe trips, lazily wafting down the Zambezi River and spotting myriad wildlife on its shores. Matusadona National Park: Combine a glorious setting with excellent wildlife diversity and you have Matusadona, wrapped around the shores of Lake Kariba. All the Big Five can be found here, and you can even go rhino tracking. Zambezi National Park: If you’re visiting ‘the smoke that thunders’ – Victoria Falls – this scenic bush gem should be on your to-do list. Right next to the falls, you’ll see plenty of antelope, and elephant and buffalo are also regularly spotted. Emma Gregg GB - Author for Rough Guides, National Geographic Traveller and more. Harriet Nimmo ZA - Zoologist with more than 20 years’ experience. Want to do a safari in Zimbabwe?